Well what a great addition to my collection. My first Language Garden lesson also happens to be the first session I’ve ever delivered 100% with ICT and nothing else. So… I was a little nervous on Monday morning as I’d deliberately not planned anything else so as not to have a get out clause! However, I didn’t need to worry… the students loved the session. 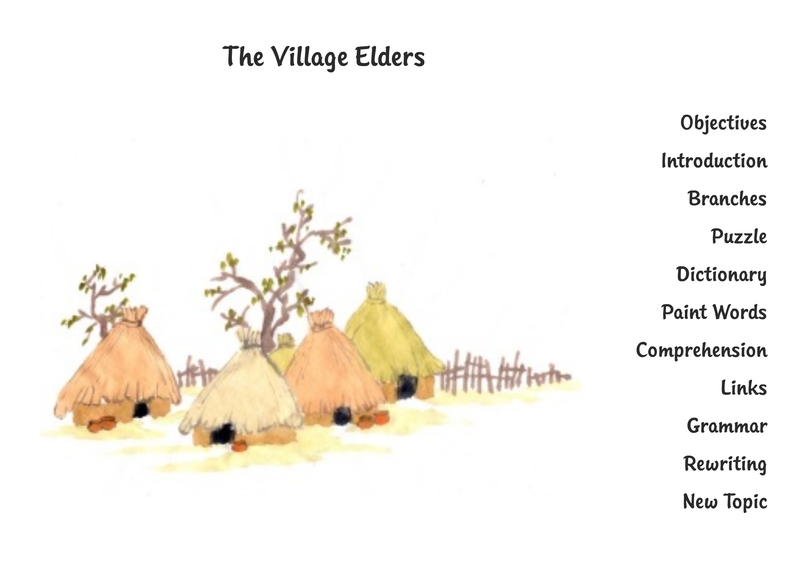 I chose to do a poem from the Language Garden called The Village Elders. Lots of my learners are Pakistani and many of them come from villages so I thought this session would interest them. The great thing about the site is that there are loads of different activities, lead ins and ideas for how to approach the material and you can just pick and choose how much or little you want to use it. We started with a chat about bravery and what that means… some difference of opinion here but ended up with a definition that incorporated warriors as well as ESOL learners choosing to join a class for the first time! We then did Branches, listening to the text while they watched the language plant unfold. They were slightly confused at first but soon got into it! We listened a few times per verse. The other lovely thing about this is that you can click on the leaves for key vocab and a picture appears. So it was great to elicit meanings from them but also be able to show them the image at the end. A big sigh of relief especially from the lower level learners to have it so clearly displayed. It was also really nice for my Eastern European learners as they have been struggling with some of the listening tasks we’ve done previously. Being able to watch the text literally grow before their eyes really helped them I think. Once we’d done all three verses I split them into groups and they tried to remember as much about the three different men as they could. Kind of like a dictogloss but I didn’t follow it through to the stage of them reproducing the text themselves. What was interesting was how much they could remember of the text and how distinct in their minds the three different characters were. Another activity we had a go at was Paint Words, painting parts of speech. They don’t actually need to know adjs and nouns etc.at this level but they caught on really quite quickly. So quickly in fact that I’m going to do a follow up session on adjectives next session. It’s amazing (and quite scary) how my conception of level puts a limit on the language I allow them to explore. Finally they produced some descriptions of their own using the “New Topic” as a guide. I think I could have done more with this. However, for this session it was more than enough! Their feedback on the session was that it was “hard but good”…'”challenging” another said…”like life is a challenge” said another. My feedback is it was nice as a change to have a whole lesson there and ready. I felt like there was a lot more I could have done with it myself in terms of adaptation but haven’t quite managed to come up with what yet. What’s really exciting is that apparently there will soon be a plant maker available free for teachers to use to create their own online plants. I think it might well become the new Wordle. I’m very much looking forward to playing with it and have loved playing around with the already existing, extensive and exciting lessons on this website. Thanks again to David for letting me explore the site 🙂 … and thank you Anna, for writing so passionately. What an excellent description of your lesson, Anna. 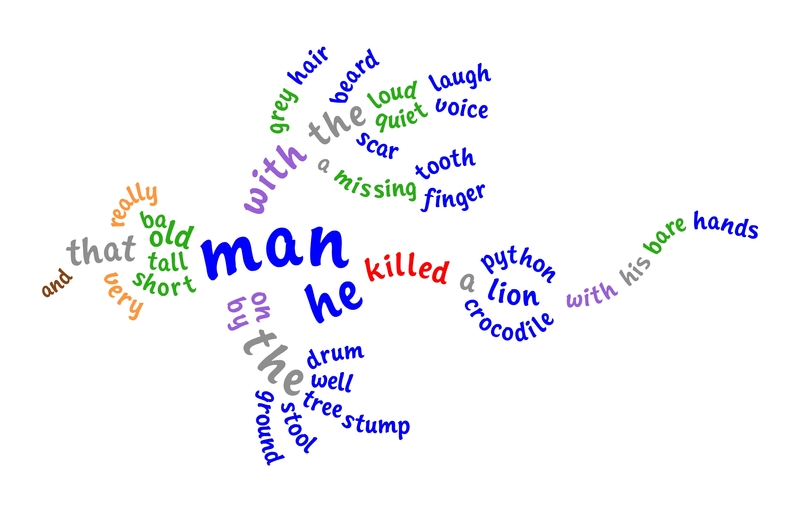 Like you, I’ve started using language plants im my classes to present sentences and vocabulary, word forms and such; I’m also eager to give the language plant activities a go – perhaps I’ll try these out next week. Thanks too, David, for giving Anna the use of the material, but really as you say, kudos to her for such a comprehensive write-up. Just got one question for Anna – what level of learner did you use the plant with? Hi Mike, thanks for your kind comments and thank you David for “having me” on your blog! I did that session with my highish Entry One (elementary) group it was challenging for them but they definitely got it… even the ones whose listening skills aren’t that great. You are currently reading Guest Post by Magpie Moments at language garden.